Many people think of the pilgrims landing at Plymouth Rock as the first English settlers in the New World. However, 23 years before the Mayflower landed in New England, Captain John White arrived with a group of colonists on the Outer Banks. They called their settlement Roanoak and promptly set about building their new lives. When their supplies ran low, Captain White returned to England to re-stock. Delayed by the Spanish Armada, he did not return for three years. When he did, the entire settlement and all of its inhabitants had disappeared. Did native tribes capture and kill them? Did hunger and sickness take them one by one? Did they fall victim to a hurricane? We shall never know. The site of that ill-fated settlement is now the community of Manteo, named after one of the Native Americans who had travelled to England as an ambassador of good will between peoples. 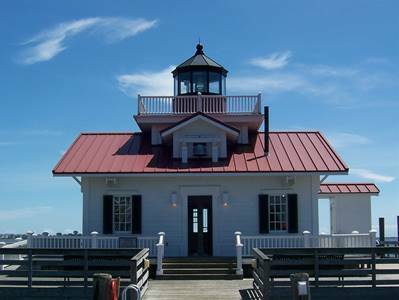 Modern day Manteo pays tribute to that bygone age with several historical attractions. Visitors can peek through a window into the past at Roanoke Island Festival Park or shop in the 21st Century boutiques downtown. Near the waterfront, you can find the sailboats, skiffs and yachts from which to see the beauty of the Outer Banks from the Sound and the open seas. Old or new, Manteo real estate reflects the best of both worlds. Christmas ornaments are not the only treasures at the Christmas Shop. Shoppers can wander through 15 rooms filled with gifts, trinkets, toys and more. What would a Christmas shop be without homemade fudge? Sleeping In, Ltd. carries the finest linens, sleepwear and clothing. Manteo real estate suggests antique and nautical furnishings. Pampered pets can find the treats they crave at Oh Yappy Dayz. Manteo Farmer's market lets you fill your table with healthy food, but also carries jewelry, basketry and other creations by local artists. It is open from May until fall. Open year round, Ortega'z serves Latin flavors to the table with tacos, enchiladas and other spicy favorites. Darrell's Seafood offers the freshest local ingredients in a casual atmosphere. Adrianna's serves pizza, fish tacos and sandwiches while offering a fantastic view of Shallowbag Bay and the Elizabeth II ship. Visitors can take a trip into the past during the outdoor drama of the Lost Colony, the longest running outdoor symphonic drama in American, depicting the plight of the lost settlers from Roanoke. The 16th Century comes to life at Roanoke Island Festival Park. The 25-acre park represents the fated settlement including the Elizabeth II, a model of one of the English ships that transported them here. Costumed guides explain the exhibit and lead guests through a number of activities. 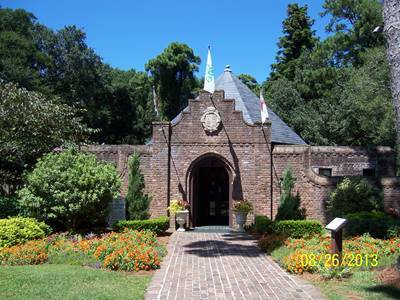 Finally, the Elizabethan Gardens stand as a permanent memorial to the settlers. Beautiful statues depict some of the colonists in an elaborate display of living plants and carved stone. 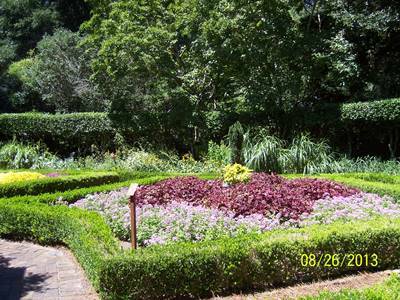 One of the live oak trees in the garden dates back to the time they landed. Pirates Cove Marina is host to several tournaments each year as fisherman try their hands at bringing in big game fish like billfish, yellow tail tuna and dolphin fish. Young people generally enjoy catching the succulent blue-shelled crab. All it takes is chicken necks dangling from a string off the boardwalk and a net to scoop up the clawed scavengers. Be sure to bring a bucket with a lid to hold your catch! The median age of the 1,350 residents of Manteo is 42.8, slightly younger than the rest of North Carolina. Manteo real estate values are significantly higher than other parts of North Carolina with a mean value of $450,398 for house or condominium compared to $150,100. Current prices begin at about $300,000 for homes for sale in Manteo and rise to nearly $2 million. The exquisite homes in Manteo exhibit the gracious southern styles of cathedral ceilings, formal dining rooms and huge windows with magnificent views of the Sound. Schools serving students in Manteo real estate are part of the Dare County Schools. Manteo Elementary has 700 students from kindergarten through grade five and a student to teacher ratio of 12 to one. Manteo Middle School serves 376 sixth through eighth graders with an 11 to one ratio. Manteo High has 451 students with a 10 to one ratio. Another option for Manteo students is the Dare County Alternative High School. This special program serves 31 students from grades 7 through twelve. College of the Albemarle is a community college with a campus in Manteo. It offers the opportunity for students to obtain certification in various trades or an Associate of Arts degree in preparation for attendance at a university. MacDowell Family Health Center and Dare Medical Associates, both on US-64, operate in conjunction with Outer Banks Hospital to provide regular medical care to the residents of Manteo. The hospital facility is in Nags Head, about 15 minutes away. The US-64 links Manteo real estate to Manns Harbor to the west and to Nags Head to the east via the US-64 and the US-158. 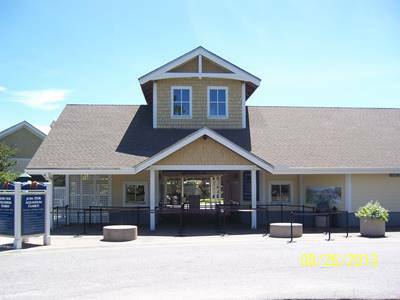 Dare County Regional Airport is just six minutes from Manteo. If you are thinking about buying or selling a home in Manteo NC, give us a call at 252.207.1617 or send us an email to explore your options and to find out when is the best time for you to make a move.